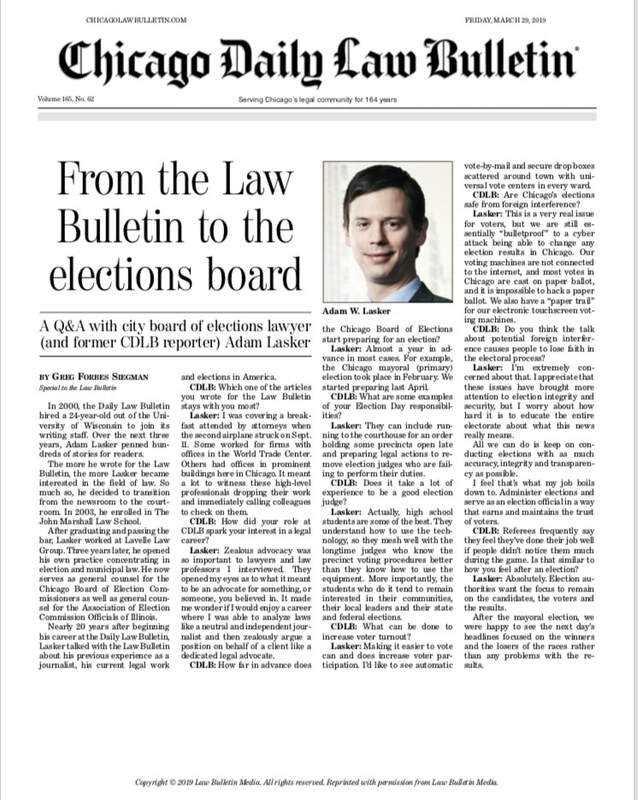 For Chicago Daily Law Bulletin, Greg interviewed Adam Lasker -- a journalist-turned-lawyer who helps ensure elections in Chicago are run properly. The piece includes a profile about Adam, followed by a transcript of a Q&A between Greg and Adam about Adam's work and his unique journey from journalist interviewing lawyers to lawyer being interviewed by a journalist.. Visit Chicago Daily Law Bulletin at www.chicagolawbulletin.com to read their other stories. Scroll down to see a screenshot of this piece.